On the 12th of May 2017, the Welsh Map Symposium 2017 or “Carto Cymru” will be take place at the National Library of Wales. The theme of this year’s event is “Measuring Meadows: The development of estate mapping and it value in portraying the historical landscape”. All interested map lovers, names enthusiasts, and Welsh fans are encouraged to purchase their tickets soon. Although the Symposium is still a few months away, spaces are filling up FAST. Information on tickets and the scheduled programme can be found here. This event is hosted by the National Library of Wales in partnership with the Royal Commission on the Ancient and Historical Monuments of Wales and the Institute for the Study of Welsh Estates, Bangor University. 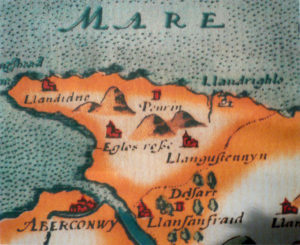 Talks on the day will include a talk on the history of estate mapping by Peter Barber, Ex-Head of Maps, British Library and “Cantrefi a Cymydau: Rediscovering the Medieval Boundaries of Wales for the Digital Age” by John Dollery & Scott Lloyd, Royal Commission.